Steve Sxwithul’txw (Swee-thult) is from the Penelakut Tribe located near Chemainus, BC but now resides in Victoria. He is currently working with Island Health (VIHA) as the coordinator for the award winning Aboriginal Employment Program. Steve also is a producer for his own company, Kwassen Productions Inc and is host of two shows on APTN. Sxwithul’txw was a residential school attendee at the Kuper Island Residential School back in 1970 when he was five years old. The remainder of his schooling was completed in Duncan until he graduated in 1985. But this was not easy as he failed grades and 8 and 9. Being bullied and being brought up away from your people was difficult. It changed him to know he was an easy target for bullies. Being challenged to complete graduation was a major goal, but he fell two credits short. Not long after graduation Steve moved to Victoria and attended Camosun College for upgrading but did not complete the courses and moved to East Vancouver. He attended the Native Education Centre and received his Dogwood certificate. When Steve was 21 and on social assistance, he saw a poster at the welfare office advertising an eight-month security guard course at Vancouver Community College, which he soon successfully completed. Working as a security officer for Sears Canada arresting shoplifters was a fun time and Steve moved from various stores in Vancouver honing his craft. Soon he got bored of this and he became a corrections officer for three years. But the challenge soon wore off and after attending tribal police school in Mission, Steve became a police officer in 1995, forming his own tribal police service for his communities on Vancouver Island. Steve served his nation for several years before moving to work in Lillooet, Mt. Currie and with the transit police in Vancouver before leaving policing in 2003. Back in grade 12, Steve worked for Cowichan Cablevision as a cameraman filming local basketball games for TV. He wanted to come full circle in his career choice. He completed BCIT’s Advanced Broadcast Journalism program in 2007, Steve worked for CTV News and First Story as a reporter/producer for two years. Telling stories from a First Nations perspective was important to Steve, so he found employment with a show on APTN’s Down2Earth as a cameraman, narrator and presenter. Gaining a sense of his own production company desires, he formed Kwassen Productions in 2009. Steve embarked on producing his own show, Warrior Games which debuts in 2014 on APTN. “There were bruised egos and bodies at the start of production of Warrior Games, a thirteen part half-hour TV series for youth on APTN, about the many Indigenous sports of North and Central America that survive, and still thrive, today. Shooting began around the Lower Mainland in June, before goin to Mississippi in July; Ontario in August; and Whitehorse in the winter of 2013. Each episode features show Host and Producer Steve Sxwithul’txw from the Penelakut Tribe of the Coast Salish Nation on the road, as he trains and practices a traditional sport in a new community. Warrior Games is directed by April Butler, the Series Producer is Barry Gray, and the Executive Producer is Patti Poskitt. From the high kick in the Arctic, to brutally fierce stickball in Mississippi, Aboriginal Peoples from all corners of the globe have a culture and history deeply rooted in sport. Some, such as the kneel jump, helped enable hunters to move quickly when ice started to break, while others were used to resolve disputes. Steve trains with local athletes and world record holders, chats with the Elders about the cultural and historical significance of each sport, and attempt the sport in a competitive environment. “It's a chance for us to showcase Indigenous games to First Nations across Canada and the US, learn from the past about what was really important to our tribes, and educate the youth in a fun and meaningful way," Steve explained. Warrior Games also introduces viewers to youth who are practicing for regional and international competitions while they gain insight, knowledge and wisdom from their Elders. The series provides an entertaining and intimate perspective of the physical, cultural, and anthropological importance of athletics in Aboriginal culture. Possibly the most important of all, the series shows the impact each sport has on the athletes and the communities, as they aim to maintain a strong connection with the past while promoting healthy living in the present. Thoughout this, Steve continues to balance all of these with two young children at home. 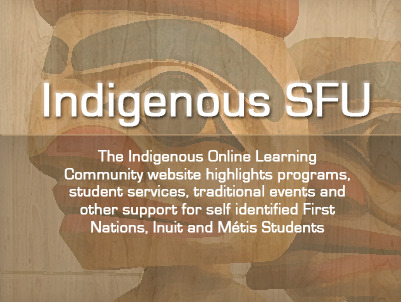 Steve will be one of the speakers at the Indigenous Peoples Career Stories event on February 19th. Find out more about the event, and register now.